Oil and gas drilling in Colorado is no longer confined to the state’s most rural areas, and local efforts to restrict production have continued in some communities. A bill that would’ve mandated reimbursement to companies who faced restrictions on the drilling or mineral rights died Wednesday in a state Senate committee. 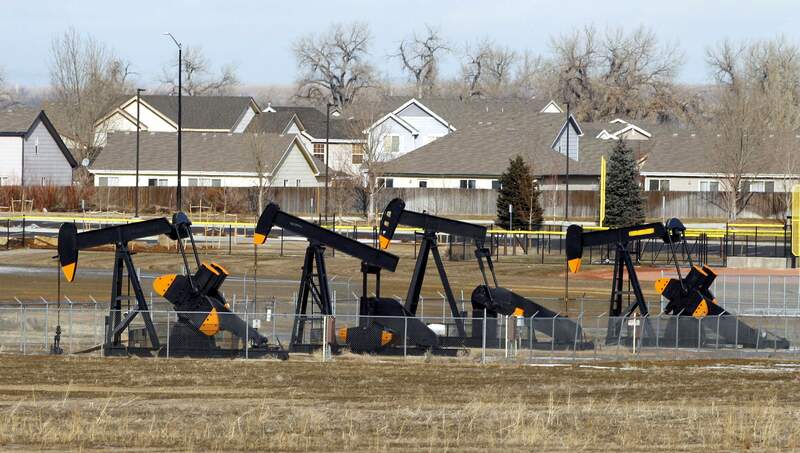 DENVER – The House Democrats’ “kill committee” lived up to its name again Wednesday when a bill that would protect oil and gas development and mineral rights died on a 6-3 party-line vote. House Bill 1124, which would have required local governments that prohibit fracking or place moratoriums on oil and gas production to pay out the value of the mineral interest impacted, was an attempt to protect Coloradans’ property rights, said Rep. Perry Buck, R-Windsor, and sponsor of the bill. “To think that it’s about anything else is just not right,” Buck said. Fracking, or hydraulic fracturing, is a process where a high-pressure mixture of water, sand and chemicals is injected into rock to open fissures for the purpose of oil and gas extraction. Democrats on the committee and citizens who testified against the bill did not agree with Buck’s intent and latched onto a portion of the bill that outlined the need to compensate oil and gas operators “for all costs, damages and losses of fair market value” as a result of bans or moratoriums. Some testified that the language pitted subsurface property owners, who want to develop their mineral rights, against surface owners, who were hesitant to have oil and gas development near their homes. Rep. Edie Hooton, D-Boulder, said it went beyond surface versus subsurface and property rights. “I believe that it pits rural Coloradans against their urban neighbors,” Hooton said. An example comes in the conflicting interests between industries that support economies in different parts of the state, such as outdoor recreation in her jurisdiction and oil and gas in Buck’s, Hooton said. HB 1124 would undermine local control and the ability to determine what is right for different areas by applying a blanket rule, she said.